Earlier this afternoon, Jon Morosi (MLB Network, Fox Sports) reported that Anthony DeSclafani was on their list of candidates for the rotation. Anthony DeSclafani is worth a lot. He put together a solid 2015 (3.2 WAR for FanGraphs, 1.3 WAR for Baseball-Reference) in his first full season as a major league pitcher, with a strong second half. His 2016 starts have been comparable. The Reds have at least four more years of his control. He pitched 184.2 innings last year, demonstrating durability. He’s a #3 starter, with a shot at becoming a #2. The Reds are deep in pitching relative to position players. If they trade DeSclafani for hitting, that could be smart as long as they get the right kind of hitter. That player should offer (1) above average power, (2) strong plate discipline manifested in an above-average walk rate, (3) at least 5 years of team control and (4) a graduation date no later than 2017. Ideally, you’d also want solid defense. The Rangers have a strong farm system, with several position players ranked in various Top-100 lists. Grant Freking mentions Nomar Mazara.Ã‚Â Doug Gray adds the name Jurickson Profar to the conversation. Those two players are already with the Rangers. The two teams could be a good match. 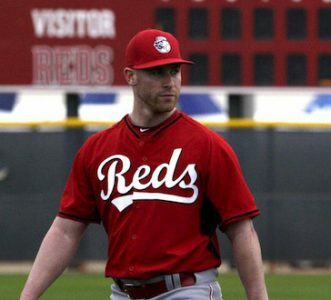 Bottom line: We know the Reds (over)value pitching, so they won’t give DeSclafani away. If they move him, the key is what kind of position player they look for. Another slap hitter whose main asset is speed? No thanks. No. No. No. That said, DeSclafani isn’t going to win the Cy Young. You listen to offers and move him if the return is right. I’m for it… If the Reds don’t think they’ll be in the playoff hunt before 2020 OR if they get a return like the Braves did for Shelby Miller. I hope this is just a smokescreen ploy to get Houston to offer up Bregman. A blockbuster of Bruce and DeSclafani could get that king’s ransom we all want. The Astros aren’t going to trade the best prospect in baseball for Jay Bruce and Anthony DeSclafani. They’ve won 61% of their games since May 1 and are only 2.5 back in the Wild Card. They’re young enough to have a rather long window of opportunity so there is no need to make a ” go for it” move. Over the next 1.4 seasons, Jay Bruce will earn 24x’s what they would need to pay Bregman for what very likely will be similar or less production. Longer term, is there anyone who thinks Jay Bruce will be the better player 3 years from now? I think his next 3 years will be better than this year and his last 2. Bruce has a 40 HR season in him especially now that he is hitting them to left center. While his defense is being questioned by many, his offense is getting a lot better than it was in his 4 years of 30/100. He is finally a better hitter. I’m always up for swapping pitching for hitting! Even if you’re short of proven pitching? For all of their depth, the Reds have only two semi-proven starting pitchers. Obviously, you can’t refuse an offer that you can’t refuse, but hitters without pitchers works no better than the reverse, as we know from recent Reds’ history. Yep. Pitchers get hurt way more often than position players. If you have to be strong in one area, position players is the place to be strong in… IMO. Yet just about every champion team is built on Bullpen and good starting pitching. Obviously they can’t be bad at hitting, but we aren’t seeing offensively slanted teams winning any championships. The Giants have hitters that don’t K much, but hardly good run scoring group. They get it done with pitching every time they win it all. The Cards, a bit better hitting, but again, it is pitching that gets them there and makes every game winnable. The Royals have probably the weakest pitching of the three, but they did have Cueto and pitched solidly. I’d say only the Royals got more from hitting than pitching over the past 8 champions or so. I get why we want hitting, because we don’t have as many to look at on the prospect list, but given poor pitching means all the hitting in the world still means no playoffs or contention, I think trading pitching for hitting, as a stand-alone idea, is BAD. If it is a solid pitcher for a great hitter, sure, but even up, I don’t do that. Pitching has more impact. Can’t help injuries, but if you get scared off due to potential injury, you’ll never draft or trade for any pitching and you’ll never sniff the playoffs. I beg to differ, but that’s fine. We’re allowed to have dissenting opinions. and the Reds made the playoffs a few times in the past 7 years thanks in LARGE part to some of the best pitching we’ve had in 50 years. The Reds, in my lifetime, slant heavily towards hitting and due to that we’ve RARELY contended. The 1990 year was all bullpen and good (not great) starting pitching. The hitting was, well, mediocre, to be kind. Obviously the Big Red Machine was hitting heavy, with a solid bullpen and subpar-to-mediocre starting pitching (sometimes bad, sometimes good), but it took like 5 HOF players in one lineup to make that work. One pitcher has more effect than one hitter on a game, sure. I think that is what you are arguing. So, more specifically, what I meant was having a stable of strong hitters in the minors is a better place to deal from since they are more likely to be healthy. Develop bats then trade some for pitching when you need it, rather than holding pitching where they have the chance to get hurt on your ledger. That is my preferred method. And what has happened in the past is completely irrelevant since those exact circumstances will never be replicated. I’d want the world! Disco is too hittable to be a #1 or #2 but he’s a very hard worker and pounds the plate! He’s in tremendous shape and probably as strong a competitor as we have! A few weeks ago he was hitting 95 mph at the 100 pitch mark! This last start was in 90 degree weather and he got a hit and scored a run in our rally. I figured he’d gone for sure with being on the bases in that heat and his pitch count but he still came back out strong and finished 8 innings! I would need a ton to move Disco!! Disco learned how to pitch last year at the big league level and this year it is showing up big time.I don’t know where he ranks in a rotation but everything about him is good as INDY said.I could see him being a 12-15 game winner every year with a little below 4.00 ERA.The Reds must get exactly as Steve said in return for him or he goes no where. Rangers would give up Joey Gallo, and others. Do we think Gallo is Duvall? Maybe but what if he is a higher OBP version of Bruce? Joey Rooster? What a name! I’m still leery on Gallo. TON of power and has a decent eye, but his SO rate of over 37% isn’t very appeasing. I would rather see Mazara as the headliner, but don’t see them giving him up with their OF situation. I would prefer a move with the Dodgers if the Reds could get some combination of Verdugo, Bellinger, Holmes plus some lower prospects. Gallo is not really comparable to Duvall since Gallo walks a lot. A more athletic Adam Dunn is probably a better comp. The K% has always been the concern. He’s cut it by 8% or so this year in AAA, and he’s still just 22 years old. If he can maintain 28-30% K rate in the majors, he can be an all-star hitter given his insane power. I read something yesterday how the Rangers badly need pitching, yes, but they also could probably use an outfielder, given that Choo and some other guys are slumping and/or injured. I wonder if Bruce might be part of a Disco trade. The Dodgers are supposed to be in the process of picking up Chris Archer from Tampa but who knows? My take: Any trade rumor could be the lead, or the smokescreen to gain leverage on some other lead. Disco could be smoke for the Archer trade (to bring down TBs asking price), or vice versa. Ultimately, this backchanneling is all market forces coming to their balance point. If the package is lead by Gallo or Profar, and add-ons modified by the Rangers by suitor, then the question becomes who isn’t *necessarily* the better pitcher (Disco vs Archer), but which pitcher is more undervalued by their own ball club relative to the Rangers’ objective assessment of that pitcher. I’m guessing here, but I suspect that because Disco is a more recent trade asset and not home grown, that perhaps we would treat his worth more objectively. Archer, if I recall, has spent some time there. Forgot my conclusion: I suspect Disco is a more tradeable piece for us, because our value of him will more coincide with the Rangers’ objective outside assessment. Sidebar: The Rays are notorious for their objectivity as well. I am completely against moving Disco… Unless they are giving us a guy in the majors that can hit right now, or is crushing AAA pitching. I see Disco as our future #2 at worst a really really good #3 in the rotation. I don’t think he is a #1 starter but we have several candidates for that honor. I know we could use a really good OBP. guy with some pop too but honestly Disco is the One pitcher I feel like we can count on good starts from at this moment. To me nobody else has proven enough to us as fans to be a for sure lock in our 2017 – 2020 rotation. We have a lot of guys who could potentially be good starters but none are proven in my book yet. Mr. Finnegan is getting close to being my choice for #3 in the rotation. Not me. I don’t think the Reds have enough RH pitching in the pipeline to be giving up AD, except for a great, great haul. They control AD another 4 years. Side note – The Reds could acquire anyone you could imagine and it still obviously wouldn’t matter. The ‘Hit King’ reigned the Reds, and now the ‘Lineup King’ is displaying his chops yet again…..
…. good thing the Reds are sending Peraza to Super2 status so he can pine tar up the bats for the REAL ballplayers. Plus BHam back at lead-off after going 7-18 (.389) over the last FOUR games. Whatever will the Reds do if Price is gone after the season???? At least BP isn’t hitting 2nd. Most of these teams in contention have HUGE holes in their starting pitching. No need to accept less than a haul for Disco! Even Straily should be in some demand. Baltimore = Only 2 starters under 5 era. U. Jiminez 7.38 era 111 hits in 81 ip! Miami = Only 2 starters under a 4.42 era in that huge park!! Yeah, Jiminez has been making me want to barf all year. If they haven’t been able to trade Bruce or Cozart, what makes anyone think that they could swing a good deal for Disco? This FO is a joke. Evidently pitching is in much greater demand than position players right now. That might have something to do with it. Would any of us be happy with a mediocre return for Bruce and/or Cozart? Methinks not. Looking at the teams in the playoff hunt, the market for Cozart is really small. Bruce’s is bigger but I don’t see the rush when you have one of the better trade pieces on the market. I think that is the big distinction. When Strasburg signed his deal with Washington, much was made of how few top-notch pitchers will be available over the winter as free agents, so if a contender has an opportunity to get one at the trade deadline, it might make sense to not wait until the winter. And no, Disco is no Strasburg, but a good, young pitcher with lots of team control should fetch a nice return if the Reds are so inclined. I’m sure there are teams that could use Jay Bruce, but how much are they going to give up when they’ll have him for only a year and a half, unless they’re willing to shell out bigger money after that? If the return gives you multiple pieces that can slot into the near future, I think you have to consider it. Disco is a nice piece to have in a rebuild, but if you can return more, then you make the trade. Disco will be arbitration eligible by the time the Reds are even considering being competitive again. The whole strategy behind a rebuild is to flip pieces you have now that may be expensive or gone when you will compete again, for pieces that will help you compete in the future, that are also cost controlled (cheap). The Rangers have a nice and deep system. I can see them making an offer worth the Reds time. I thought Desclafani was one of the pieces we were assembling. It seems to me that the FO has no real plan other than salary reduction. I don’t see a plan in all of this. Some of the pieces we have already received in trades do not look like they are going to be good pieces- just pieces. Some will never see the majors. I am not sure we have received a star piece in all these trades just yet. On the other hand, the Big Red Machine was assembled by trying to get stars- not just pieces. Pieces is such a nondescript term. I prefer trying to get potential stars rather than lots of general pieces. Couldn’t get a sack of used batting practice balls and a Rodin bag for that dude . There is a reason that Walt was fired by the Cardinals. I think most Reds fans know what that reason was by now. I hope the FO makes a big turn around once he is gone. I don’t think the Reds will get much for Bruce. Pick up his option for next season, give him a qualifying offer in 2018 which he hopefully refuses and Reds get a draft pick. Phillips leaves after 2017 too. Trading DeSclafani would be OK if they got a stud, young hitter. Unfortunately DeSclafani has not done enough to warrant that kind of return. Reds need to play Peraza to determine if he is a solid MLB player and give him a chance to learn and grow. Phillips is not part of the future. His not agreeing to the Nats trade was a dumb move by him and a lucky break for Murphy. I like Duvall but I see him as a long term .240 hitter with decent power. He would never play on a contending team but fits on a bad team. 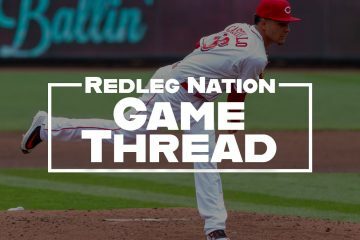 The Reds’ lack of position player talent in the minors is very discouraging and the key reason the rebuild will take several years. I would only move him for an OVERWHELMING offer. AD is more ‘proven’ than 80%-90% of guys with his amount of service time, and he’s controllable well into the Reds next window of competitiveness. It would have to be a ridiculous offer. The reason to want to keep DeScalafini is the reason he will bring enough interest to think long and hard about trading him. What I have seen out of the Reds and what I am reading about the farm 2020 might be the timetable if we can start making some better decisions. The team control with Disco makes him very intriguing for good teams now. I see him having a decent chance of being 2 guy in the rotation but definitely he has pitched well enough since being with the Reds to be a solid 3 starter. I would hate to see him pitch up to his potential on what is likely to be bad ball cubs for the next 3 years and when we are good enough to have success we can’t afford him! He is like all players should be if the return is there trade him. My wish list is a middle infielder with an OBP of about .370 or a corner OF guy with 35 HR power with an average higher than his body weight! More considerations- might AD be worth more thus off season or next year once he has another 20 starts in him and teams see what we see? Or do we cash in now because the market is so barren with quality SPs? Or do we keep him because right he’s the one in our hand (which is worth more than the two in the bush,… I’ve been told). Can a baseball team be 4 years from competing / better than .500? I think almost any situation is salvageable before that if you can avoid bad decisions. I think 2020 may be a bit pessimistic unless you’re talking favored WS title level of competing. I know baseball playoffs can tend to be a crapshoot, but I think the Reds have a solid chance of contending for a WC in 2018 by my estimation. Senzel as an advanced college bat should move quickly. I expect him to finish out next year at AA (this may even be a conservative estimate) and be ready to join the Reds in 2018, at least by mid-season for a playoff push. Winker should come up later in the year and be a full-time corner OF next year. There will be enough time to sort out the rest of the OF and see whether Schebler, YRod, or Ervin will be contributors. Aquino may even bet ready by 2018. 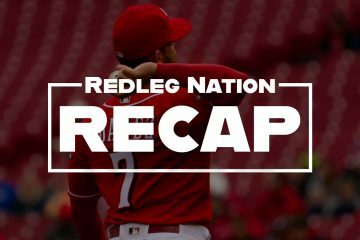 Another full season plus the rest of this year should give the Reds enough information on whether or not Duvall, Suarez, Mesoraco, Peraza, and Hamilton fit into the future. It will also give the rotation candidates, Reed, Stephenson, and Garrett, enough time to acclimate to MLB. The Reds should settle on who’s in the rotation vs who’s in the pen by 2018 and sort out Finnegan, Lorenzen, Iglesias, Straily, Lamb etc. And that’s before we think of adding anyone else through potential trades. Worst case scenario, none of our prospects develop and the MLB guys we thought we could count on rapidly decline. That’s unlikely. Especially with the advanced plate approaches of Winker and Senzel and the raw talent of Stephenson, Reed, and Garrett. It’ doesn’t take a big leap of faith to envision a starting line up of: Barnhart, Votto, Suarez, Peraza, Senzel, Duvall, Hamilton, and Winker with a rotation of Bailey, Disco, Reed, Stephenson, and Garrett. Possibly a bullpen of Lorenzen, Iglesias, Cingrani, Wood, Finnegan, Lamb, and Straily. If those guys don’t all work out, then there are some reinforcements in the minors. YRod, Schebler, and Ervin have the potential to be above league average contributors. Aquino, who is tearing up hitter friendly High-A, may even be ready at some point in 2018. Daal or Trahan look to be serviceable bench INF, another bench options is Renda. Blandino may be able to sort out his issues by that time and become part of the equation. It may not come to fruition, but I don’t think it’s a sucker’s bet to believe all these young, near ready guys could gel into a team that makes a playoff push. Very similar to the Reds young core of 2010 in a lot of respects. Desclafani could be a very good and affordable rotation building block. He should carry good value given his youth, cheapness and years of control. I don’t trade him lightly. If a very good deal can be made (a couple of good/great prospects), fine, but if they pull some Chapman deal of quantity over quality, forget it. It’s not like we are loaded with stud starting pitchers. We have a lot of promise in pitching, but no stud, can’t-miss type. Therefore, we need the Desco’s of the world, to cobble together a rotation full of SP3 types and maybe luck into one ace-type or sign one or something. If you can’t get a stud SP1 and good SP2, then having all 5 pitchers be solid is next best thing, and you don’t get that trading away your somewhat proven pitchers. Mat Latos showed us all how fast great can become bad. You always trade good pitching for great hitters. At best a starting pitcher throws once every 5. I would much rather over value a durable player that can play 162. Not only that but the Reds have an over stock of future pitchers.